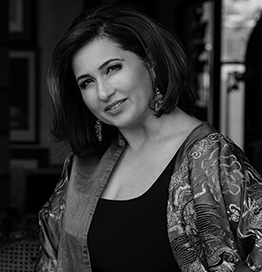 Art and design are the foundation of Reem’s world….They have been captivating Reem all her life the love she found has become her defining characteristic. From early childhood, she was raised on the appreciation of beauty which continued to feed her soul. The results are shown through her wonderful collection of rare art, handmade carpets, antiques, and in her professional work documenting important art collections. She started her professional journey studying interior design, as well as Islamic architecture, art and archaeology. Her career started with the inauguration of the Cultural Foundation, a memorable place to the people of Abu Dhabi. She joined the Cultural Foundation when it was still closed and being prepared as a national library. She began work on the interior design of the building under the supervision of the renowned British librarian G. Thompson. When she created the first art exhibition there, she and the Cultural Foundation moved into a new era. She became increasingly involved in organizing major art exhibitions and cultural programs as the people of Abu Dhabi joined in this cultural renaissance. These early links with art have become her obsession and an inseparable part of her striving to be creative and unique as she remains rooted in her scholarly research and nourished by her dreams.